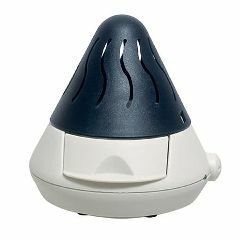 Electric diffuser uses cold evaporation technology, the most efficient and purest form of essential oil diffusion. This professional aromatherapy unit delivers instant effectiveness, exceptional efficiency and fully adjustable essential oil diffusion. Ideal for Couples Room. Diffuses areas up to 350 sq ft. Available in sand or blue. 1 year warranty.